I watched Star Trek Into Darkness last week and really liked it. I hope they will make Star Trek No.3. Of course Spock is my favourite character. 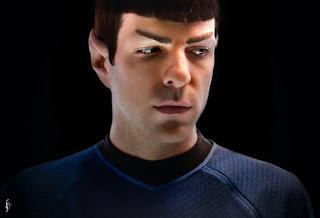 I think my novella Close Encounters with a Martian Hunk was inspired by Spock too.